No matter what industry your company is in, a crisis is something that it is not immune from. We know that how businesses handle a crisis can affect how external stakeholders such as clients perceive the business going forward – and this can make or break a company. Just as importantly, how you communicate with your employees in a crisis can also affect your company’s future. A crisis can take many forms – from a physical disaster through to a scandal affecting senior management or a major issue with the safety and security of a product that you are selling. Whatever the crisis is you are facing, it’s important to be on the front-foot in terms of communication with your employees. Unfortunately, research has found that many managers neglect communicating with their staff during a crisis, and while 67 per cent of organizations have policies to deal with extrernal communications in a crisis, only 31 per cent of companies had policies for internal audiences. When they feel they are being kept in the dark or feel they are being lied to, it creates a climate of mistrust. The short term consequences of this include an inability for your companies operations to be carried out as a result of confusion or lack of direction. The long-term consequences of this include low morale, lower engagement, lower productivity and higher levels of staff turnover. The good news is, there is work you can do now to prepare your business for a future crisis and systems you can put in place to ensure you have best-practice internal communication methods in place to keep your people informed in a crisis situation. A crisis might hit you out of left-field, but if you are prepared for the likelihood of a crisis one day, you’re already on the front-foot. Have basic communications plans ready to go you can populate with relevant information so you can use the roadmap to keep both internal and external audiences informed. Misinformation is dangerous at the best of times, but in a crisis it can escalate the severity of the situation. Make it clear to your staff that posting sensitive business information is not allowed and that only official corporate social media accounts are to be used by the authorized personnel. This can help to stop false information spreading with both staff and external stakeholders. Don’t delay communicating with your staff. Misinformation can spread on social media in the time you take to dither about sending out internal comms. 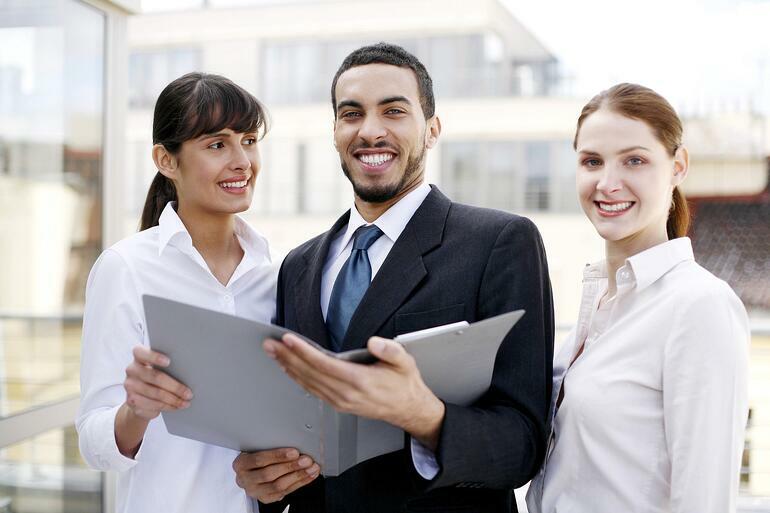 Reassure your staff that you will keep them up-to-date as a situation develops. Employees don't like being kept in the dark and even worse, don’t like hearing about what’s going on second-hand such as through the media. If you are in a crisis situation, you can’t rely on emails to be opened by and read by all staff, nor can you expect they will just go looking for and find the information on your intranet site. 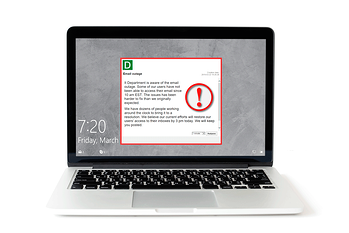 You need DeskAlerts – an internal communications power tool that will send pop up messages to the screens of every employee no matter what they are working on, and will cut through the noise and clutter to ensure that the important information is delivered.